Brisbane is the best city in Australia, the natural gateway to Australia’s Gold Coast resorts and the Great Barrier Reef but it gets no respect. Often dismissed by our southern cousins as a big country town, Brisbane tries harder to win you over and it is blossoming into a great place to visit. What are my five favs? 1. South Bank. 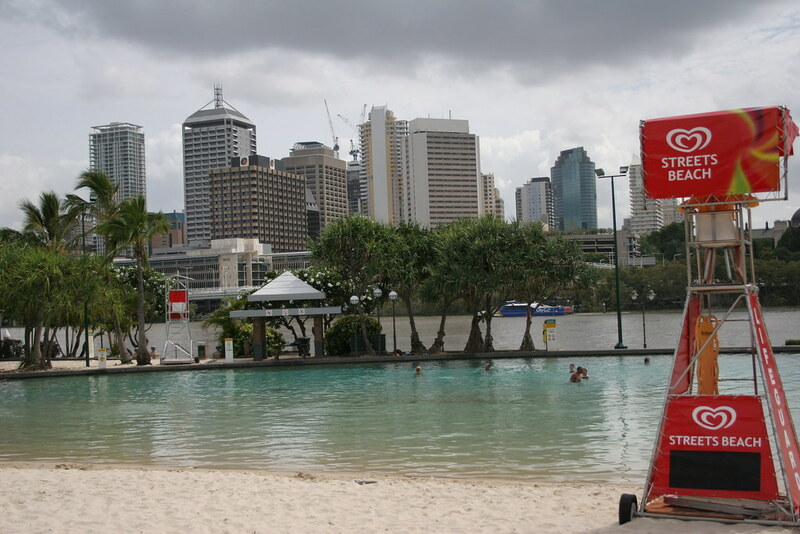 Site of the 1988 World Expo, South Bank was redeveloped into a recreation and cultural centre for the city and hosts a wide variety of events each year. 2. Breakfast Creek Hotel. The Brekky Creek is a local institution, immortalised by the band Midnight Oil, and one of the few places to get a beer ‘off the wood‘ in Australia. Teamed with one of their world famous steaks you will find simple dining nirvana. 3. Lang Park (Suncorp Stadium). Corporate naming rights changed the name but to generations of Queenslanders it will always be Lang Park. Some Australia’s most intense Rugby League, and more recently Rugby, games have been played at Lang Park. To hear it reverberate with chants of ‘Queenslander’ is an experience for any sports lover. 4. Lone Pine Koala Sanctuary. Lone Pine Koala Sanctuary, less famous today than Steve Irwin’s Australia Zoo, but still the best place to get up close to Australian wildlife in Brisbane. Take a boat cruise there and cuddle a koala. 5. Brisbane Nightlife. Brisbane’s vibrant nightlife has something for everyone, and you will find great local talent at affordable prices.